This sprayer works well with all of our liquid products. The Hudson 2102 Liquid Sprayer offers 12 application/dilution rate settings. It also has three spray patterns: Bullet spray for trees, high places and tough rinse jobs. Gentle shower for flowers, delicate shrubs and roses. Flat spray for lawns and large areas. It comes equipt with a reusable 32oz hopper and center siphon straw. Its central siphon technology draws concentrate as needed, mixing it directly into to the stream. No water enters the hopper. This allows you to store the unused fertilizer without contamination. **Not intended for use with dry products. Liquid concentrates only. 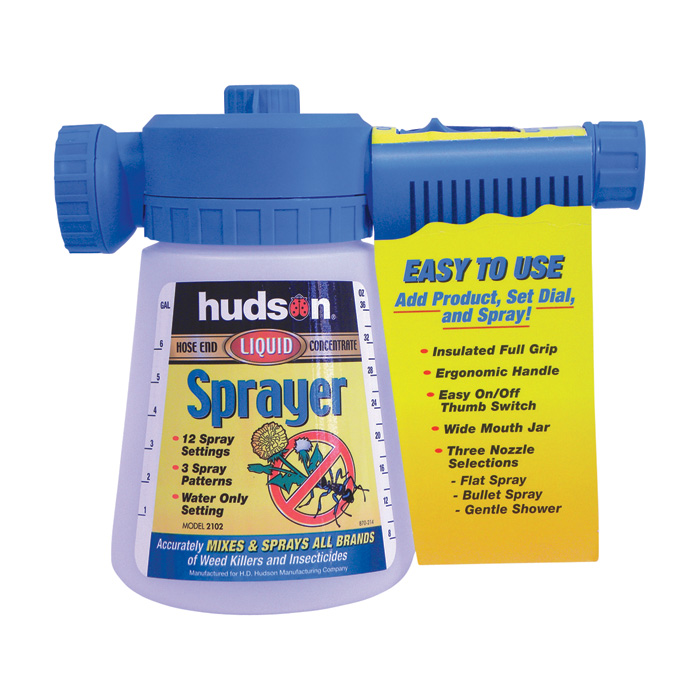 View the HUDSON 2102 Sprayer Instructions here.